The recent two-week synod on the family has been an educational effort similar to that surrounding the Second Vatican Council and the U.S. bishops’ pastorals on peace and the economy. It led to hundreds of stories in media, prompted both sides of debates to make their cases on such neuralgic issues as receiving Holy Communion after divorce and remarriage and openness to lesbians and gays. It brought a degree of transparency even to those more comfortable hunkering down behind closed doors to make decisions. The 2014 Synod elevated the conversation. Whispered questions about why Aunt Jane never goes to Communion and why Uncle Jack never married have made it into the parlor. The presence in the church community of people who divorced and remarried without an annulment and lesbians and gays found a healthy acknowledgement. The church acknowledges there may be pastoral solutions to long-standing problems. Nothing heals better than fresh air. For many, the pain silently endured by people forced to the fringes has developed individuals beloved in their families for their generosity and kindness and particular sensitivity. Now they just might receive some of the generosity, kindness and sensitivity they’ve offered others for years. There is proof that doctrine is not dead. What’s dead does not change; what is alive does. So long as doctrine addresses current reality it shows it is alive and holds meaning for people today. Synod 2014 highlights the fact that the church offers many possibilities in dealing with problematic situations. Not fitting into the mainstream does not mean not fitting in at all. Pastors have often noted that more people have been excommunicated by Aunt Edith and Uncle Archie than the church ever even considered excommunicating. Media coverage drew the engagement of many people. When The New York Times is contributing to intelligent conversations about church teaching, there is progress. The 2014 Synod structure allowed real-life conversations on these neuralgic issues into upper echelons of the church when laypersons testified from their own experience. The entrance of marriage realities into the stratosphere of Vatican discussions by bishops and consultants does more for evangelization than any pastoral letter. Hopefully the 2014 Synod has laid groundwork for further discussions. We need more work to bring the conversations mainstream, perhaps through consultations with ordinary folks before the synods and during them. Perhaps we can move beyond “professional Catholics” who make their living espousing causes and bring in real people in the pews struggling with sippy cups and toys that don’t squeak during Mass. 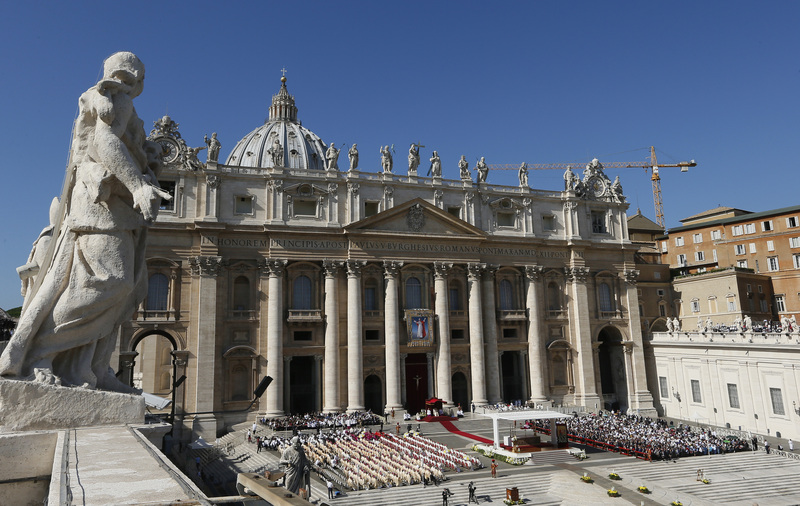 Now the church faces the challenge of keeping the momentum going as we move next fall into Synod 2015 in Rome and the international meeting on families slated for Philadelphia. The 2014 Synod emphasizes the church’s relevancy as it deals with hot button issues in a cooler environment of intelligent discussion. The family is the critical unit of society. How can the church strengthen it? The church at the 2014 Synod showed that the church cares about where people live now and not just the ideal. Taking on the topic of family – the good the bad and the challenging – means the church is contributing to the building up of the entire society. It was a concern of Vatican II and certainly a rationale for spending so much time in decades past on the pastorals on the economy and peace. The issues affecting the family now in the 21st century – poverty, war, and migration, for example – complicate even basic efforts to keep the family intact. It is a whole new world for the family of today and tomorrow. Mary Ann Walsh, R.S.M., is a member of the Sisters of Mercy of the Americas Northeast Community and U.S. Church Correspondent for America. Thank you for reflecting on the positives of the Synod in a broad sense. I have been discouraged with the regressions in the final version of the document. Your thoughts encourage me.